Daniel Radcliffe playing someone other than Harry Potter is one thing, but Daniel Radcliffe starring in a horror film? Shortly after taking his final bow as Harry Potter in The Deathly Hallows – Part 2, Radcliffe is back on the big screen in The Woman in Black. 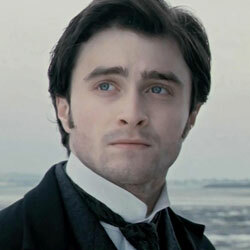 Radcliffe leads as Arthur Kipps, a young father who’s still reeling from his wife’s passing during childbirth. Now a solo parent, Arthur needs to support his son and that means sorting out the legal affairs of the recently deceased owner of the secluded Eel Marsh House. However, upon arriving in town, Arthur comes to learn that this gig is going to be a tough one, not only because the home is overflowing with paperwork, but also because the house isn’t as empty as he was led to believe. On the occasion of The Woman in Black’s February 3rd release, Radcliffe sat down to talk all about the transition from Potter to horror, his own unease with the genre, the preparation necessary for embodying such a troubled character and much more. Check it all out in the interview below. If you got superpowers, what would you do with them? Seriously? I’d like to bet most wouldn’t suit up like Spider-Man and clean the streets of crime. Well, not initially at least. High school-aged or not, most of us would probably partake in the shenanigans the leading trio of Chronicle enjoy. But that’s not to say this novel superhero flick is all fun and games. In fact, it boasts a great deal of depth, intertwining the out-of-this-world action with some very real troubling issues. Andrew (Dane DeHaan) is a bit of an outcast and makes himself even more socially awkward by buying a video camera and documenting his entire life. Camera in tow, Andrew tags along with his cousin Matt (Alex Russell) to a big school party out in the middle of nowhere. During a lonesome sulking session, Matt and the big man on campus, Steve Montgomery (Michael B. Jordan), convince Andrew to film this crazy thing they found, a massive hole out in the woods. Then, they opt to take it one step further, going down into the hole and through the passage. Cut to a new day. Andrew, Matt and Steve are together again, but this time, they’re not just partaking in your average after school activities; they’re throwing baseballs at each other – with their minds. Turns out, whatever happened down in that hole left the boys with superhero-like powers. But this isn’t Peter Parker, Clark Kent and Bruce Wayne we’re talking about. These are teenagers and they’re looking to have some fun with their new abilities. However, a few harmless pranks later, they come to realize that there’s a breaking point and if they don’t learn to control their growing powers, they could really hurt someone. Sick of all the same old tricks in the horror genre? Well, get ready because The Innkeepers uses them all. Eerie tracking shots, spooky noises and an unoriginal story, but, oddly enough, writer-director Ti West manages to put enough of his authorial expressivity on the piece to deliver something that may not feel fresh, but is still refreshingly nostalgic. It’s the Yankee Pedlar Inn’s last days in business and Claire and Luke (Sara Paxton and Pat Healy) are the only two employees left, assigned to keep the facility running until closing day. It’s not as tough as it sounds though. The entire third floor of the hotel has already been sealed off and there’s only two guests on the second floor. Regardless, the duo agrees to bunk down at the hotel for the final weekend and opt to keep themselves busy with Luke’s hobby, a website dedicated to paranormal activity recordings. Convinced the Yankee Pedlar is haunted, they use an EVP recording device to catch the spirit of Madelyn O’Malley in action, a former guest who killed herself when her fiancé split on their wedding day. Make way for Joey King. At just 12-years-old, the young actress has already starred in her own feature film, Ramona and Beezus, and tacked on about eight other big screen titles to her resume. But, of course, it’s not just about lengthening your list of screen credits, but lengthening that list with films of quality and boy does King have some potential hits on the way. Next out of the gate for King will be the third installment of Christopher Nolan’s Batman series, The Dark Knight Rises. Then, on March 8th, 2013, King will grace the screen as China Girl in Sam Raimi’s Oz: The Great and Powerful. But wait; there’s more! King also snagged her very first series regular role for NBC’s upcoming romantic comedy Bent. See what I mean? We’ve got a hefty dose of King on the way! But, even with all this work to get to, King still makes time for her family and a good deal of charitable causes, too. Apparently, there’s near to nothing King can’t do – with her pig Jay Jay by her side, of course. It isn’t time to chat about The Dark Knight Rises or Oz: The Great and Powerful just yet, but check out everything else on King’s plate in the interview below. Another week, a slew of new promotional material. The overall gauge this week fell somewhere in the middle, but, of course, that still means some came out on the higher end of the spectrum. The Snow White movies are at it again, this time, Snow White and the Huntsmen getting a sneak peek and Mirror Mirror getting a featurette and, yet again, I’m pleasantly surprised. The Huntsman video is pretty much just the trailer all over again, but it holds up surprisingly well. As for Mirror Mirror, it embraces its silly and family-friendly side, laying on the goofiness quite thick and, you know what? It’s kind of cute. There was really no other way to title this section of the introduction. Tim & Eric’s Billion Dollar Movie seems to be getting some solid reviews out at Sundance, but a number do point out the film can be hit or miss. Well, it’s a miss with me because this clip from the film isn’t funny, rather uncomfortably awkward. And, in a completely different spin on “WTF,” it’s happened; a piece of Hunger Games promotional material didn’t claim one of the top three slots. There’s nothing wrong with what’s said to be the film’s final poster, but considering we’ve seen Katniss shoot quite a few arrows already, this image is lacking a wow-factor when, at this point, we’ve come to expect them from the film. Or perhaps I’ve just watched that teaser one too many times. The new premiere promotion video for Iron Sky is in a category of its own. Why? Nazis in space, that’s why! I don’t know what to make of this bizarre sci-fi/comedy mash up from Timo Vuorensola, but similar to Dead Snow’s zombie Nazis, Vuorensola’s deep space ones make for some pretty wicked villains. Don’t worry; that’s not all. The best is yet to come. Well, and the worst, too, but who couldn’t use a good laugh at a poor promo’s expense? Now that we’re just under two months away from The Hunger Games’ March 23rd release, the cast and crew are out and about, interacting with both the press and the fans including our very own Woody Harrelson interview, a cast Twitter Q&A and much more. No, this element of the promotional phase won’t make or break the film – unless perhaps there’s some sort of Charlie Sheen-sized circumstance – but it can make or break a fan’s perception of that actor or filmmaker. I’ve been reporting for movie news websites for quite some time now and I’ve had my fair share of celebrity encounters. Sure, this type of environment is wholly different from, let’s say, a fan walking up to his or her favorite actress on the street, but star courtesy still goes a long way. No, I’m not here to badmouth anyone, but let me tell you, it never feels good when an actor pushes your microphone away on a red carpet. On the bright side, that’s really only one of a very small handful of interview misses I’ve had over the years. In fact, most of my celebrity encounters have been quite the opposite – actors gushing about the subject matter of their new film, veteran directors finally completing a passion project, first time filmmakers excited to get a taste of the press circuit. Some experiences I’ll never forget?Talking Scream 4 with Wes Craven, sharing my ringtone with Steven Spielberg and getting a grilled cheese sandwich from Dustin Hoffman. 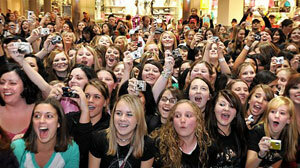 Then there’s San Diego Comic Con, which is an entirely different breed of fan outreach itself. Not only is the event brimming with some of the most dedicated fans I’ve ever come across, but equally dedicated stars, going out of their way to mingle and give thanks. As you probably noticed from my “8 Great Weapons the Movies Taught Us to Always Keep Handy” and “9 Ideas for the Next Great Final Destination Opening Disaster” pieces, I spend way too much time thinking about big screen kills. As much as I love coming up with these crazy ideas, the thought of getting caught in a real horror story is downright terrifying, particularly the idea of being stranded in a grim situation much like what happens to Liam Neeson in the upcoming release, The Grey. 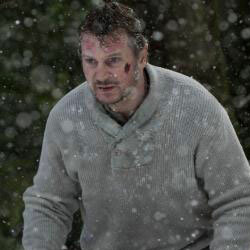 It’s one thing to crash land in the middle of an icy tundra patrolled by vicious wolves with Liam Neeson by your side, but imagine getting stuck in one of these scenarios minus our favorite big screen survivalist.